This summer, eyes around the world will be on Brazil and the World Cup of soccer (known as football in much of the world). The World Cup is among the world's premier sporting events, lasting a month from the first games in São Paulo June 12 until the grand finale in Rio de Janeiro' recently renovated Maracanã stadium. Brazil is no stranger to major events. From having 3 million people at a mass for Pope Francis last summer to yearly carnivals across the country, Brazilians have grown accustomed to staging large-scale events. From this perspective, the World Cup should not have been too much of a challenge. This year, however, things may be different. Brazil is facing a host of new challenges for which they may not have had to prepare – or even consider – just a few years ago. International tourism and media attention is at an all-time high, with the nation front and center on the world stage. 1. Cost of the event. In the last year, Brazil has seen not only an increase in its inflation rate but a rise in social unrest. According to official statistics the inflation rate is around 5.4 percent. The problem is that inflation rates are based on a basket of goods and often this basket does not reflect real life. The inflation rate and the huge cost of stadium building have sparked major social protest movements across the country. The cost for running a major event, such as the World Cup (or an Olympic Games), is so high that there are those that joke that the nations and cities that lose their bid are really the winners! 2. Timing. The World Cup is occurring in the same year as a presidential election. This means that opposition groups and potential anarchist groups may see the World Cup as an international stage on which to embarrass the government. 3. Police and Rio de Janeiro's famous favelas. The government has sought to quell the violence in some or Rio de Janeiro's famous shantytowns. The word favela was changed to "cidade pacificada" (pacified communities), and the police were to have become part of the local communities. Unfortunately due to numerous reasons, the policy failed and Brazil has now had to call in the military to assure that civil unrest does not ruin the nation's image during the games. 4. Inconsistent preparation across the nation. Some locations such as Rio de Janeiro have completed their stadiums and have spent a great deal of time and money on infrastructure. Other places, however, may not be finished until the last moment, and in a few cases, questions have arisen regarding the quality of stadium workmanship, hotel availably and food safety. 5. Terrorism. Brazil has traditionally never been a place of terrorism. With the coming of the World Cup, however, international problems now land on Brazil's doorstep. This means that Brazil has not only to deal with a high crime rate but also the potential for a world staged act of terrorism. 6. Hooliganism. The World Cup means that both players and property must be protected not only against the actions of thieves and terrorists, but also against the actions of foreign fans whose team lost a match and then chose to express their anger against the local community. An international event such as the World Cup means that security must not only be at the highest level inside the stadium but also outside the stadium. 7. Media. In tourism security and major events, what occurs in the media sets the stage for years to come. These events are perfect examples of the need to see media coverage as part of a locale's security concerns. The impact of negative media coverage can be felt for years to come. 8. Weather-related issues. 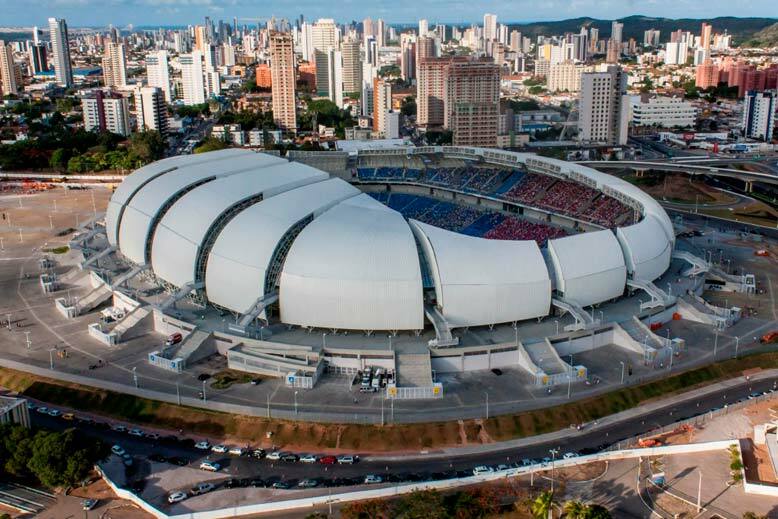 Many of Brazil's stadiums are not covered. Rainstorms are less of a problem in the stadium than outside. Major traffic snarls may be expected in the case of a major storm. Should these traffic problems occur during a terrorist act or other security challenge, the system may well experience a major crisis. These challenges do not mean that Brazil has not been preparing for the World Cup. New construction is ubiquitous, police and private security professionals have been given special courses, and national and state governments have prepared a great many contingency plans. Although most cities will never host an event as large as a World Cup, major events are an ever-greater part of many locales tourism offerings. In fact, we may argue that from the perspective of the event's manager, every event is a major event, and whenever people come to your community, they judge it on the same scale as if it were a World Cup event. 1. Know the condition of your community's athletic facilities. There is perhaps nothing as destructive for a tourist industry as sending someone to an athletic facility that is in a state of disrepair. It is essential that your facilities be in the best condition possible. There is nothing more destructive than a dilapidated facility that makes the news. 2. Train your police and expect the unexpected. There will never be 100 percent security, but a good risk management program can address many of the major security hurdles faced by any large sporting event. Make sure you have adequate evacuation plans, especially for inclement weather; be cognizant of security both inside and outside of the stadium; and be sure of your on-site and off-site medical facilities. 3. Prepare your staff to prevent and respond to disruptions, large and small. The more publicized the event, the higher the probability of a terrorist attack. Major events must develop a method of efficient crowd control for both the ingress and egress periods. How well prepared is your stadium to handle a mob scene? What types of metal detectors will you use and how will you combine crowd impatience with the need to protect the crowd? How often will you monitor surveillance cameras, and will your personnel know how to distinguish crimes of opportunities from potential acts of terrorism? 4. Maintain good medical lists, and post emergency numbers in places where athletic events take place. All sporting events have an element of risk. This risk is even more hazardous to the tourist who may not know where to seek medical help in case of an emergency. Your posted materials should include 24-hour pharmacies, hospital emergency rooms, and doctors and dentists willing to see out-of-town guests. 5. Help visitors take advantage of your local sporting facilities. Sports events add not only to your economy but also to visitors' health and fitness. The desire for good health and sound body are also part of sports tourism. In your tourism brochures, make sure to list gyms and public sporting facilities, including up-to-date schedules and entrance costs. 6. Consider the legal consequences of athletic events. In today's society, where litigation has become a way of life, check with your community's law offices about the need for waivers when conducting public tournaments. It is always a good idea to review all athletic facilities that you promote with your legal staff. D r. Peter E. Tarlow (@ptarlow) is a world-renowned speaker and expert specializing in the impact of crime and terrorism on the tourism industry, event and tourism risk management, and economic development. 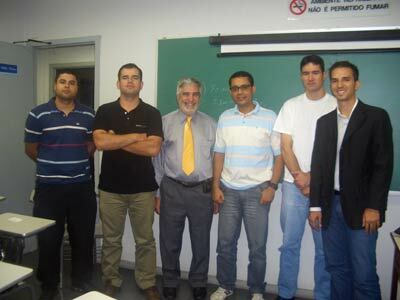 For more than 20 years, he has been teaching courses on tourism, crime, and terrorism to police forces and security and tourism professionals throughout the world. He is also a founder and the president of Tourism & More Inc. (T&M). 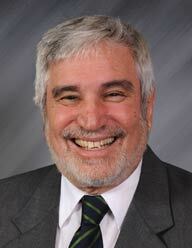 Dr. Tarlow's fluency in four languages enables him to speak throughout the world on a wide range of current and future trends in the tourism industry. He trains police departments worldwide on TOPPS (Tourism Oriented Policing and Protection Services) and offers certification in this area. 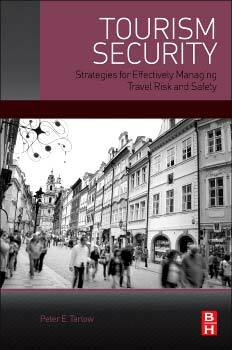 Elsevier will be publishing his upcoming book in June: Tourism Security: Strategies for Effectively Managing Travel Risk and Safety.